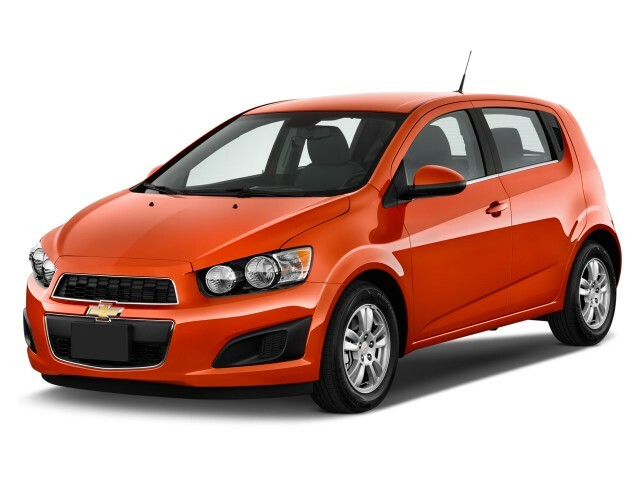 The 1.4-liter turbocharged four-cylinder is the must-have engine in the Chevy Sonic. It's more entertaining and more efficient, and it's worth the extra money. The 2015 Chevrolet Sonic is comfortable, stylish, safe, and drives well, and almost completely blots out our memory of a much worse Chevy Aveo from the past. 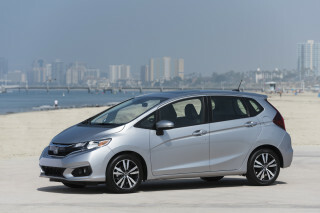 After four years on dealer lots, the 2015 Chevrolet Sonic subcompact faces a new and tougher competitor in the form of the all-new Honda Fit. 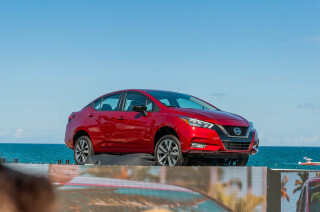 There's also the Ford Fiesta, which received a comprehensive update last year, and continuing pressure from various other Japanese and Korean competitors. But the Sonic, offered in five-door hatchback and four-door sedan models, has emerged with its own persona and reputation to attract buyers who would have never before considered a Chevy. In particular, the Sonic can accommodate two adults comfortably in up front. While four adults will have to negotiate a bit to give rear-seat riders enough leg room, rear headroom and shoulder room are ample. The rear seatbacks flip forward, turning the sedan, with its big trunk, into a sort of mini-pickup truck--and making the hatchback practically a moving van. 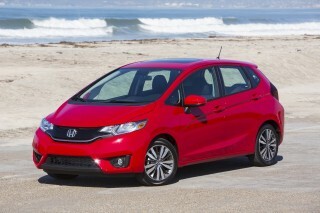 Neither Sonic is as versatile in its interior configurations as the superb Honda Fit,, with its "Magic Seat," but neither does any Sonic offer serious packaging flaws. Both Sonic body styles share the same front styling, front doors, and wheelbase--but they differ considerably behind the center pillar. The rear doors of the hatchback have their handles hidden in a black trim panel--purportedly to give it more of a coupe look--while those of the sedan are conventional. Inside the cabin, the twin-cockpit design echoes other Chevrolet models but sports edgier design--including a "motorcycle inspired" instrument cluster. Still, the controls and passenger accommodations offer a high quality of materials and finishes. On the road, the Sonic is enjoyable to drive considering its modest price, and the electric power steering in particular is nicely weighted. It feels strong and sturdy, not tinny, and refinement is better than many competitors, with engine and road noise well suppressed. Plus, the Sonic gets good safety ratings: five stars from the NHTSA, and Good on four out of five IIHS tests (although a 'marginal' small overlap rating keeps it from Top Safety Pick status). All models have 10 standard airbags, and blind-spot mirrors, and Chevy's added an optional crash-avoidance system last year as well. And compliments to Chevy for making alloy wheels, Bluetooth connectivity, and steering-wheel audio controls standard on every trim level--even the base LS--along with air conditioning and remote keyless entry. Remote start comes standard on automatic LT models, and an available Connectivity & Cruise package adds a missing USB port and cruise control to the LT as well. There's also a sporty-looking Sonic RS model, offered only as a hatchback. It doesn't actually offer any more power, but its appearance has been upgraded with changes to the front fascia, unique wheels, a retuned exhaust, and a variety of interior trim items (sport seats, special steering wheel, aluminum pedals). 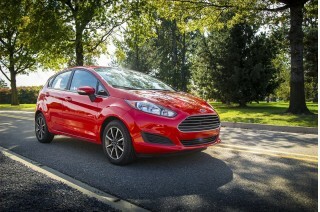 With its focus on younger buyers, infotainment is a strong point for the Sonic. The available Chevrolet MyLink system, new last year, includes a 7-inch color touchscreen display, hands-free connectivity, streaming audio (along with Pandora and Stitcher apps) and voice recognition. MyLink is an option on base and Sonic LT models and standard on the top LTZ model as well as the RS. Last year, Chevrolet introduced the Bringgo navigation app for the Sonic (it debuted on the Spark minicar the year before). For a single, one-time $50 fee, drivers can run Bringgo on their smartphones, which plug into the dash and display both maps and routing on the MyLink display. It's an inexpensive way to bring navigation to the dashboard at a much lower cost, and we think the "smartphone, dumb screen" model will spread rapidly among tech-savvy consumers. For 2015, OnStar now comes with 4G LTE connectivity and the ability to create an in-car WiFi hotspot. LTZ models now come standard with the 1.4-liter turbocharged four-cylinder. There's no economy-car blandness in the Chevy Sonic's sharp profile and cockpit. The 2015 Chevrolet Sonic flirts with the line between conservative and bold, and you definitely wouldn't consider its styling 'bland.' Even in its fourth model year, it looks edgier than many cars in the segment, and it absolutely blows the doors off its oft-maligned predecessor, the Chevrolet Aveo. Its dash and door forms a smaller version of Chevy's corporate twin-cockpit design, with a motorcycle-inspired small instrument cluster standing proud fixed to the steering column. The center dash curves down into a V-shaped center stack and into the console area, which wraps around the front seats. Chevy has upped the quality of materials in the Sonic compared to subcompact competitors and fitted the three-spoke steering wheel to proudly reinforce its Chevrolet identify. The designers have sparingly used chrome rings to trim circular interior elements and the dash's upper and lower halves feature contrasting materials and differing grains. This is still an inexpensive-car interior--no Cadillac hand-sewn leather here--but it's surprisingly well executed and looks more expensive than it is. The five-door Sonic is the more cohesive of the two body styles, with the angled window line ending in a truncated tail. The rear doors have their handles hidden in the black trim that connects the pillar and rear door, giving it a sort of coupe-like impression, and the combined shorter rear and longer front overhangs give the hatchback and sporty profile. The sedan has an identical wheelbase, but uses gets more traditional rear doors, an elongated roof, and larger trunk under the extended rear. But it's a bit less integrated as a whole, and like many subcompacts, Chevy has found it's moving more hatchbacks off dealer lots than it probably predicted. The Sonic's fascia and large dual grille are the same on both models, featuring round headlights under the clear covers for a sporty "projector" look. Chevy gets credit for fitting every single Sonic—including base LS models—with alloy wheels. Goodbye cheap plastic covers hiding steel wheels. If you can, opt for the Chevy Sonic's turbocharged 1.4-liter four--it makes the most of a good handling setup. The 2015 Chevrolet Sonic uses the same pair of engines and transmissions you'll find in its bigger brother, the Chevy Cruze. It drives well for the segment, thanks to good steering feel, and an available sports-tuned suspension in the RS model. The desirable option is the turbocharged 1.4-liter four, which is more refined and flexible, delivers more torque, and is more fuel-efficient to boot. 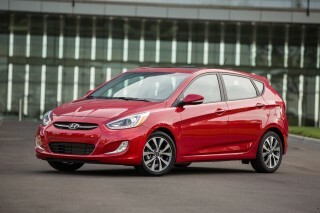 It elevates the Sonic and makes it feel closer to a premium vehicle, against the rough, econocar character of the 1.8. The smaller engine is also rated at 138 hp, and our only quibble is that throttle response sometimes feels like it lags the input for a fraction of a second. Note that the Sonic RS model, while it uses the same 1.4-liter engine and pair of transmissions as any other Sonic (except the base LS) has a lowered and retuned suspension, as well as lower gear ratios. These should give it slightly more acceleration, and its retuned exhaust system certainly makes for a sporty soundtrack--even if the difference in performance is slight at best. The 1.4 can be ordered with the same six-speed automatic or a six-speed manual gearbox. While both engines will be paired with automatics more often than not, the manual gearbox is a hoot to hoon with the small turbo engine. Its precise shifts and direct, short throws are made even sweeter by a clutch that's near impossible to bungle. The automatic for the engine offers up- and down-shift buttons on the side of the lever, though leaving it in Drive is fine--as long as you know that it may end up shifting more often to stay in the most efficient power zone. 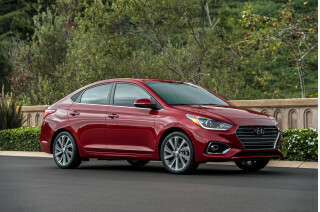 The base engine is a 138-horsepower 1.8-liter four-cylinder, which can be paired with either a five-speed manual gearbox or a six-speed automatic. If you're thinking of getting a Sonic with the 1.8, make sure you take it out on the freeway. It gets coarse and boomy at higher revs, and can feel tapped out under heavy loads. Otherwise, Chevy's small car exhibits some quality road holding characteristics and even nails the weight tuning for its electric power steering system, far superior than some competing Asian brands. About the only negative variable in the Sonic's driving dynamics equation has to do with its brakes; they work fine, but they feel mushy underfoot. Adults can fit in the back seat--huzzah!--and the Chevy Sonic is skillfully built to a price. The Sonic can carry four passengers, though we expect most owners will only drive it with one or two passengers at any given time. Even so, there's enough legroom for four adults when necessary, and copious cargo space, too. Chevy's small car is impressively well insulated, producing an interior nearly free of road and engine emanations and probably the quietest cabin in the segment. As one should expect, ride quality suffers as one opts for larger wheels—like the 17-inch alloys fitted to LTZ and RS models. If ride comfort trumps exterior style in your book, stick with the mid-trim Sonic LT and its 16-inchers. The Sonic's instrument panel is novel—and not because of its gimmicky "motorcycle inspired" design. In most cars, as you adjust steering wheel tilt position, the steering wheel itself can obfuscate the instrument cluster. Not in the Sonic; the gauges are affixed to the steering column, so you'll always have a clear line of sight to the speedo. There are also plenty of pockets for day-to-day items—glasses, change, sodas, phones, and everything else you keep on your person or need handy during your A-to-B commute. Unfortunately, Chevrolet's interior designers weren't nearly as generous with rear-seat bins and cubbies. Front and rear seats are consistent with each other—which is not usually the case with subcompacts. Two adults will easily fit up front with shoulder room to spare. Grown-ups can fit in the rear seats, too, but not without first negotiating with the keepers of leg and knee room sitting in the first row. The sedan has a large 19-cubic-foot trunk under the elongated roofline to accommodate longer items. 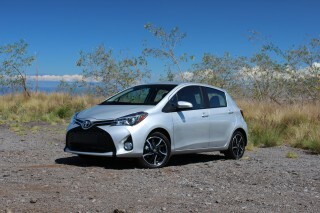 And the hatchback opens to a 14-cubic-foot cargo bay that can be accessed through either rear door and the hatch as well. The Honda Fit, as the cargo and flexibility king, still outguns the Sonic hatchback, but the Chevy puts up a respectable defense. The Sonic's load floor is high, although it contains a neat area underneath large enough to stow a laptop bag. Chevy's added more safety features to the Sonic, but its latest crash tests are worryingly low. The National Highway Traffic Safety Administration (NHTSA) has given the Sonic five stars across the board—the highest rating any vehicle can achieve—and the Insurance Institute for Highway Safety (IIHS) gives it top Good ratings in its suite of tests. The Sonic comes with a segment-best 10 airbags affixed to a solid, almost vault-like structure. Unlike some competitors, the Sonic feels substantial. Despite its cost-saving rear drum brakes, all Sonics—like all new cars these days—come with anti-lock brakes. Brake Assist further increases the Sonic's safety cred. Buyers can equip a rearview camera, too, but only on models with MyLink. Big-car features like smartphone connectivity are no big whoop for the Sonic. The 2015 Chevrolet Sonic is no longer offered as a totally stripped base model, since the Chevy Spark fills the void where an ultra-affordable Sonic might exist. The LT models adds to the base Sonic an upgraded six-speaker stereo with satellite radio, an auto-up/down driver's power window and power heated mirrors. Equipping the LT with the available automatic transmission throws in remote starting for free. But if you want cruise control or USB input, you'll need to pay a little extra for the Connectivity & Cruise package. The top-of-the-line LTZ wears 17-inch wheels and gets fog lamps, cruise control, leatherette seating surfaces and heated front seats. The sporty RS model gets its own unique wheels, a reshaped front fascia, shorter gear ratios, a retuned exhaust, sport seats, a flat-bottom steering wheel, aluminum pedals, and other interior upgrades. Alloy wheels, Bluetooth, air conditioning, steering wheel-mounted audio controls, and remote keyless entry are equipped on every Sonic—even base models. The only thing we see missing from the list of standard kit is a USB port. For 2013, Chevrolet fitted the Sonic with its MyLink infotainment system, which centers around a 7-inch touchscreen, voice recognition, hands-free connectivity, Bluetooth streaming audio, and advanced Stitcher and Pandora integration. MyLink can be ordered on LS and LT models, and is standard on the top-of-the-line LTZ model and the sporty RS. Last year, navigation found its way to the Sonic, too. This year, OnStar now includes wifi hotspotting with 4G LTE connectivity. 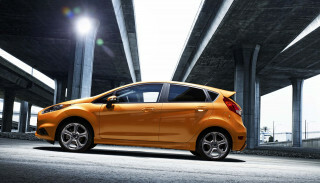 The Sonic delivers real-world gas mileage in the mid-30-mpg range. The 2015 Chevrolet Sonic hasn't received updated EPA ratings yet, but they should mirror the 2014 model's numbers. That said, owners should expect to earn 30–35 mpg with the 1.4-liter turbocharged four-cylinder engine, which we strongly recommend. If you drive sensibly, you can most likely do better than than the EPA-estimated 33-mpg rating. We got 34.2 mpg over several hundred miles in a 1.4 sedan with a six-speed manual gearbox. And the Sonic's turbo—unlike other forced-induction mills—doesn't necessitate premium fuel, instead existing quite happily on the combustion produced by regular unleaded gas. The 1.8-liter engine may cost less, but it drinks gas like a mid-size sedan. Its ratings are a less respectable 30 mpg combined with the manual, falling to 28 mpg when equipped with the optional automatic. 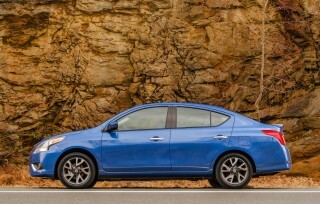 It's also a bore compared to the 1.4T, meaning it delivers fewer miles and smiles per gallon. We think your choice is clear here. Good Car, happy so far. Would rate an 7 out of 10. Great Car, gas mileage not what one might think, this could defiantly be worked on. Bit of a blind spot on drivers side rear.Definatly need snow tires if you are in a cold state. pile of crap,do not buy! My Sonic runs like a top. It has all the things that most people would want. It is quiet, peppy, and good on fuel. Can't say enough good things about it. Looking for a different year of the Chevrolet Sonic?